Posts about…me! Mitch Berg, the owner! It’s a catchall, and always has been. It was a Sunday morning in the second week of June, 1983. I had just gotten out of my sophomore year of college, and was on the trip to Europe I had been saving for since I was 14. For the first three weeks, I was in Europe – the Netherlands, Belgium, France, Switzerland and what we used to call West Germany (kids, ask your parents) – with the Jamestown College choir. I’ve written about the choir before – it was the little college choir that could; at one point, it had been rated as one of the three best small college choirs in the United States. And 11 years earlier, 1972, it had been the first American choir to be allowed to sing at Notre Dame. It was 11 years later – a period that doesn’t seem so long anymore. We were getting ready to sing one of the big masses on Sunday morning. And I had a horrible cold. And for a beautiful, glorious hour and change, I didn’t care. 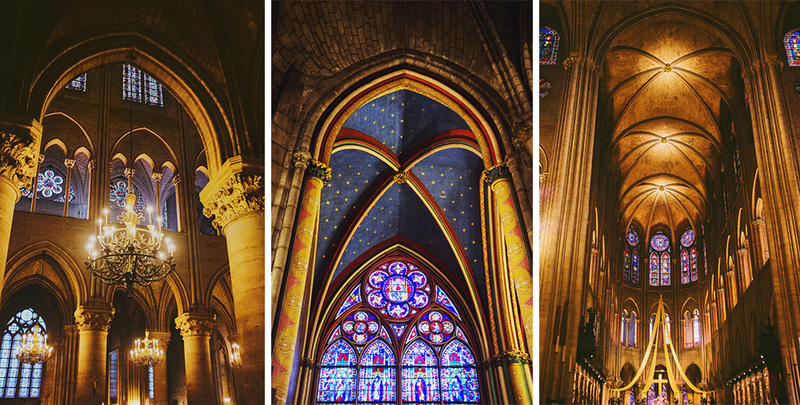 The cathedral was built centuries before amplification – and yet the spoken voice carried clearly through the sanctuary; it seems like you could hear every congregant praying, individually, as you sat in the choir. It was one of the most sublime musical experiences of my life. After the mass, the cold reasserted itself. I needed sleep. I found a cabinet in the basement that looked like it’s been there for hundreds of years, and was covered in dust that looked like it remembered Napoleon. I didn’t care; I slept for two hours and got i shape for the afternoon concert – a full performance for the afternoon audience of worshippers and tourists. And in that room that had been built halfway between Leif Erickson and Christopher Columbus, I stood and sang and marveled at the sheer acoustic glory of the whole experience. I was still sick – but I wasn’t going to waste a gorgeous summer Sunday in Paris. I went to rhe Louvre – because who goes to Paris without going there? – and then got intentionally lost in the Latin Quarter, spending a few hours wandering around quite happy not to know where I was or what I was doing. 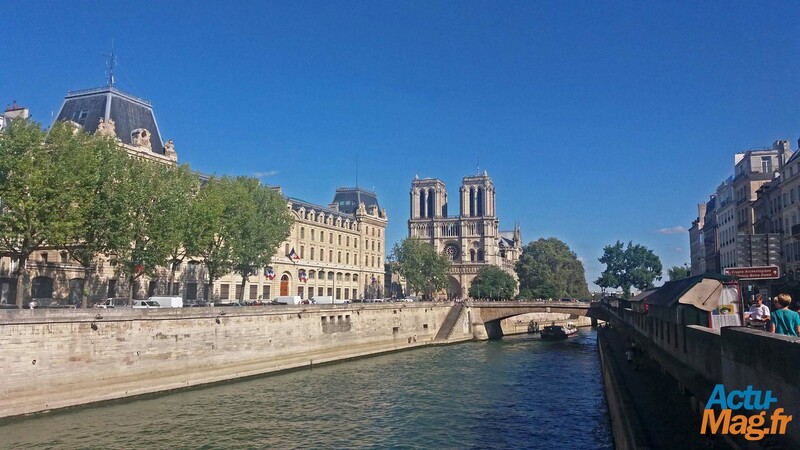 I knew I could find my way to the Seine river – and of course, the spire at the Cathedral was almost always visible, wherever I was. I thought about that the other day, as I watched the spire come crashing to the ground. And that’s really the last I want to think about that image. So last Monday and Tuesday I went to see *both* nights with Southside Johnny and the Asbury Jukes at the Dakota. Now, this’ll be the fourth year, I think, I’ve caught Johnny and the band at the Dakota – which is as far west as they ever go, since their fan base never got far west of New Jersey even during their commercial heyday (big album sales in the seventies; some big placements in the eighties; one top-forty single with the help of Jon Bon Jovi, Springsteen, and Steve Van Zandt in 1991). Now, they are perhaps the tightest band I’ve ever seen. LIterally – the whole seven piece band (guitar, keyboards, bass, drums, trumpet, trombone and sax) taking cues on the fly and launching songs from a 45 year career instantly. And then he filters through the cacaphony from the audience, and finds a song, and calls it out – or sometimes just starts singing the first line – and the band counts off and plays. And in previous years, the call from the stage caught me flat footed. But not this year. I spent time practicing, drilling on my response, so I’d be there with a title when the challenge when out. Monday night, when Johnny presented the opportunity to the crowd, I was right there. I donned my projecting radio/command voice, and shouted out “Got To Be A Better Way Home!” – a deep cut from their 1978 album “Hearts Of Stone”. And a second or two later, boom. There it was. Now, I do believe gluttony is a sin. But doggone it how many times do you get to go for a bifecta in life? So the second night, when we got to that part of the show, I was ready. “Sweeter than Honey!”. I’ll be attending both shows next year, God willing. But I think I’ll sit out the request time. I had my fun. Tonight: The House DFL may be trying to amend their Universal Gun Registration and Red Flag Confiscation bills to the Omnibus Public Safety bill. Debate may well happen tonight. It’s entirely possible we’ll need to get a huge turnout of people down to the Capitol or the State Office building to show the Legislature what Minnesotans really think about the erosion of our civil liberties. That’s still up in the air. What I’d suggest is that you sign up for the MN Gun Owners Caucus’s email blasts – then, you’ll be getting the latest news. Also, make sure you “like” the MNGOC’s Facebook page – that’s also being updated constantly. And maybe I’ll see y’all at the Capitol (or somewhere in the Capitol complex) tonight! 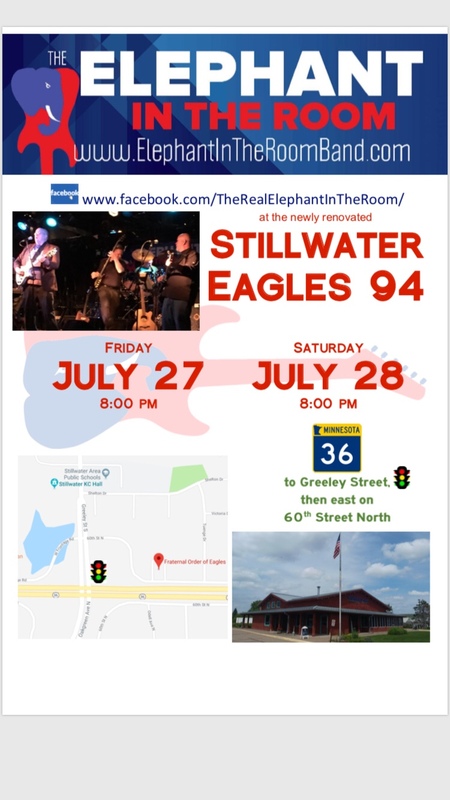 Friday and Saturday nights: My band, “Elephant in the Room”, is playing at the Stillwater Eagles both nights from 8-midnight. We do everything from Elvis to Nirvana, from the Cars to, well, The Eagles. I mean, we gotta do Eagles at the Eagles, right? Stop on out, have a drink, say hi! One of the advantages of being almost 6’5 is that there’s a lot of room to pack away weight before people – and, well, you – really notice. One of the disadvantages? When you finally do notice, it’s pretty shocking how bad things have gotten. I was a downright scrawny teenager. When I was 14, I was 6’2 and probably 130 pounds. When I graduated from high school, 6’4-5 and about 190. College? I think I was like 220 pounds. There’ve been ups and downs, of course. From 2007-2010, I biked to work most of the time – and got into some decent shape. And then went back to car commuting, and fell back out of it. But over 30-odd years of life, somewhere along the line I got out of the habit of stepping on scales. For, like, 15 years. I didn’t really want to know. In the past few years, I knew I’d packed on a bunch of weight, and had a gut going on, and was getting kind of jowly. I knew my knees were killing me. When I took off my socks at night, there was some ankle swelling. One of my co-workers described me as “heavy-set”, which was a first (and a kick in the head, for someone whose self-image has always been and still is “Scrawny”. Also, she was a *really cute* co-worker, so there was that). But there were always bigger, nastier things to worry about. A year ago today, I went in to the doctor for my first routine checkup in probably five years. I suspect the doctor knew that I’d been one form of denial or another – maybe I’m not the only middle-aged guy he’s busted on that. So I’m fairly sure he tricked me into looking at the printout with my actual weight on it – I think he said it was some billing stuff I needed to sign. But I don’t honestly remember, because I almost blacked out. My actual current weight was right there, in big numbers. And I nearly soiled myself. In my mind, I figured maybe, absolute worst case, I’d be 280 pounds or so. No more. Nope. I was over 300. How significantly? I still don’t want to talk about it. Picture a hypothetical number, “n”, in your mind. We’ll come back to it. The doctor – who must have been a psychologist earlier in life – eased us into a talk about the need to update some lifestyle choices. The weight wasn’t the last of it; my blood pressure was borderline-high, and, well, the list kept going. And as I left the appointment, I thought – who do I know that’s actually pulled this off? My thoughts turned to my friend, former producer and now lead singer, Tommy Huynh, who’d been writing about his experiences on the Keto diet. Now, Keto had always been a joking matter to me – “How can you tell if someone at a party is Atheist, a Cross-Fitter, or on Keto? Don’t worry, they’ll tell you!”) – but at this point I figured I had nothing to lose – and with effort, drove past McDonalds on the way home, made an omelet and some bacon, and started researching. Keto involves a diet that’s about 50-60% fat, 30-40% protein, and less than 10% carbohydrates – and to get started, you keep it to 20 grams of carbs a day. A regular tortilla is almost 30 – so potatoes, rice, legumes (including peanuts) and of course wheat, flour, corn and corn meal, and especially processed sugar are all right out. Even fruit is problematic. We’ll come back to that. You also operate at a calorie deficit – but the goal is, through restricting your carbs, your metabolism starts burning fat for energy instead of muscle. It got worse, of course. That Monday, I went to the gym, worked out, and got back on the scale. The scale at the gym read “n”+15 pounds – worse than at the doctor’s office. So I just kept going. I figured out how to eat a diet that was more than just eggs, meat and cheese; spinach, almonds, coconut flour and flaxseed meal all became staples, sooner than later. And to avoid obsessing, I limited myself to weighing in every four weeks, to start with. And after four weeks? Down 15 pounds. Four weeks later? 12 more. At my follow up checkup with the doctor, I was down some more. Blood pressure was down 20 points. Blood sugar well in the “safe” zone. Cholesterol a *little* high, but then I had no baseline. We’ll be seeing in coming weeks what’s happened there. It was about that time that I noticed my knee pain had nearly disappeared, that climbing stairs wasn’t an effort, and that a day outside hacking away at hedges, which used to be a nightmare that I’d be trying to get out of after half an hour, was kind of fun again. I was down 50 by mid-July at my niece’s wedding. Around 70 by fall. And it almost feels bad to say this, because I’ve had friends who’ve struggled mightily with their weight – but it wasn’t that hard. It was a huge lifestyle change, of course – I haven’t had fast food in a year, I read menus and nutrition labels VERY carefully, I log what I eat pretty religiously, and even now I “cheat” very, very rarely (as in, I’ll eat a pita with my greek food once a month or so). The gym is now 3x a week, rather than 3x a year. But once I got it into my head that nothing tastes as good as getting healthier feels , and learned how to cook tasty stuff I *could* eat anyway, it *actually wasn’t all that bad*. And I did figure out how to make some fun stuff; I make a pretty serviceable pizza crust out of mozzarella cheese and coconut flour; I make root beer floats out of diet root beer and whipped cream; and since I started replacing half and half with heavy whipping cream in my coffee, my morning Java has never tasted so good. I’ve changed my restaurant habits – pizza and nachos are out, dry rub wings are in, and I’ve become a regular at some of the local barbeque joints, and it’s been a wonderful thing. I’ve been plateaued at about 75 pounds since the fall – I need to get my metabolism kicked up, which means I have to hit the biking hard when the ice is finally gone – but I’m OK with that for now. Yes, I know – keeping it off is the hard part. Which is why I’ve pretty well resolved there’ll be no back-sliding into the regular American diet. I may transition from Keto to Paleo – introducing some unprocessed fruits and the like – but the days of wolfing down a frozen pizza are pretty much donesville. Anyway – I’m writing this to encourage those of you who might be fighting that battle; if I can do it (so far, one picky, label-reading, carb-hunting day at a time), you can do it too. As I write this, I picture me falling over with a heart attack tomorrow, and some social media twerp writing a photomeme: “Pundit PWNed after ironic last Facebook post”. One of the best-known, and certainly longest-running, series in the history of this blog was my 130 part series of 20th anniversaries of events between deciding to move to the Twin CIties in 1985, and my oldest child’s birth in 1991. The series took (doy) six years to write. One of the characters that popped up was a roommate I had at the time. I gave him a pseudonym (as I did with a couple of the people that were, er, on the “colorful” side) – “Wyatt“. He had a thing for the ladies, was addicted to pretty much everything to which one could be addicted (and dealt in some of it vocationally), He gave off certain signs of mental illness, although I was pretty bad at noticing that kind of thing back then. Our roomate situation ended one night in 1988, when he shot up the house we rented in what I had ascribed to a cocaine-fueled frenzy. I’ve neither talked with nor heard from “Wyatt” for over 30 years. I will confess, I googled him about ten years ago, and found from a few news stories – a break-in at a liquor store, a trial and sentence – that showed that his habits were keeping him in just as much trouble as they did when I knew him. I also knew he had a father – a fairly wealthy man, a former Navy frogman who had done well in, I believe, real estate or insurance or something like that – and a mother. And I knew his family loved him, and spent a lot of money and, I suspect, a lot more effort and emotional energy, trying to get him on the right track – including sending him to treatment in Minnesota, which of course led him across my path in 1987. And when I became a parent, his story – the whole family’s story, really – terrified me; it was possible, no matter how you loved your children, for the unreasoning, cackling spectre of mental illness and its sidekick, addiction, to take that kid from you no matter what you did and how hard you clung to the hope you could do something about it. A bit of curious googling over the weekend brought it all back. “Wyatt” had a real name. And he died in 2010 – ironically, not long after his departure from the series. Tragically, but not in the least bit surprisingly, he died of mixing drugs and booze. And I’m going to admit – while my “Wyatt” tales in “Twenty Years Ago Today” were true down to the last comma and semicolon, they painted as one-dimensional a picture of him as one might expect someone who, twenty years later, was still kicking himself for letting that kind of dysfunction into his life, and the consequences it brought. The article – featuring his parents, who have stayed involved in trying to help the mentally ill over the years – brings a human aspect to “Wyatt” – Wyeth – that I wasn’t ready to acknowledge when I wrote the series, over a decade ago. My very belated condolences to everyone involved. I’ve got the worst flu I’ve had in a long, long time. Taking the day off. Back blogging for real tomorrow. It’s gonna be a light posting day, as this whole holiday season has been. Now, go out and smack the world and the year upside the head with some kindness. So – if you’re out and about and need to warm up and work up a sweat tonight or tomorrow, stop on by the Eagle in Stillwater. My band Elephant in the Room will be playing from 8 ’til Midnight, Friday and Saturday. It’s in the old Famous Dave’s, on Highway 36 at Greeley. Good food, not-too-expensive drinks, great location, pool tables just around the corner, fast service – and EITR. What a perfect way to decompress from the holidays? OK – to be accurate, it’s two songs. But hey, you’re not gonna get that from a dance club DJ, are you? Hope you all have a happy and blessed one. It’s the Friday after Thanksgiving – which may be the single slowest traffic day in the year of a halfway-serious blogger. My band, “Elephant in the Room”, is playing Friday and Saturday nights at the Eagles in Stillwater. We’ll be playing from 8 ’til midnight. We’re a classic rock band that does stuff from the ’50s through the ’90s. And it features our “new” lead singer, former NARN producer Tommy, who can do Led Zeppelin ,Guns and Roses and the Offspring with style. Seriously – this isn’t your grandpa’s Elephant in the Room. It’s a fun room, excellent food, drinks aren’t too expensive, and we have a lot of fun playing the joint! My band, “Elephant in the Room”, will be playing at the Outpost in Ramsey Saturday night at 9PM. It came up pretty suddenly – so our leather-lunged lead singer Tommy “The H Bomb” Huynh won’t be interrupting his family vacation for it. It’ll be the old, four-piece version of EITR. Anyway – come on out to the Outpost Saturday night. You never know what’ll happen! I started this blog 16.5 years ago – and one of the things I learned early on was that the key to making it work, day in, day out, through writers block and manic creative bursts, was to write to a schedule; whether it was a couple times a day or twice a week, just write, even – maybe especailly – if it was krep. This past few months my cycle has been more “block” than “maniacially creative”. It’s been a busy, exhausting couple of months for a variety of personal reasons – most of them very good, but pretty taxing. I’ve been though the cycle often enough to know it’ll pass; I doubt I’ll ever feel the creative doldrums like i did in 2011, after throwing myself neck-deep into writing about the 2010 gubernatorial race and coming out completely exhausted. But you know what they say – the first step is admitting you’re overstretched and exhausted! It’s the former Famous Dave’s. We’ll be on from 8 to Midnight both nights. Anyone Get The License Number On That Truck? Posting is going to be a little light today. What is it about Thursdays, lately? In 1998, I’d had a pretty busy couple of decades. I’d started in radio (koff koff) 19 years earlier, in 1979. That lasted until about 1992, when – tired of trying to raise two kids with another one on the way on $7 an hour, I got into technical writing – mostly writing user manuals, online help, reports and fdjdjweim asklssssssssssssss…. …sorry I fell asleep just remembering that phase of my career. Technical writing didn’t agree with me much. It was good for me – it got me into the software business – but a good technical writer is a stickler for details in a way that I really just don’t much care to be. I’d been a technical writer for about a year, working at the old Cray Research facility in Eagan, when I ran into a fellow tech writer who was in charge of building a “usability lab” – a room where users could be observed doing the jobs they were supposed to be doing on Cray software, noting the problems they had, developing trends, and eventually making recommendations on how to design the software to be easier to learn, less obtuse – better. And I thought – instead of explaining how to work with badly designed software, why not just design the software to be more self-explanatory, and make more money and get more respect in the bargain? It wasn’t quite that easy; at the time, user interface / human factors / Human Computer Interaction design was seen rarely outside of highly regulated industries like medical devices or defense contractors. And most of them had masters degrees in industrial, cognitive or experimental psychology. I had a BA in English. But I spent four years of spare time reading, practicing designing things, and learning about the trade from the few people I could find as mentors. And twenty years ago today, I walked into my first User Experience job at StorageTek in Brooklyn Park. And, to my amazement, succeeded. For twenty years. UPPER MIDDLE CLASS NPR-LISTENING WHOLE FOODS SHOPPING DEMOCRATS FROM GOOD NEIGHBORHOODS WITH “GOOD SCHOOLS”: “The problem with Republicans is that they’re just so racist”. EVENTS: “Hello, Mr. and Mrs. Upper Middle Class Democrat from a Nice Neighborhood: We’re going to fulfill a liberal goal and start busing your kids and seriously integrating your school district”. Things sort of caught up with me this week: it’s been crushingly busy. Posting will be light to nonexistent today, and maybe tomorrow. But I’ll be back. Oh, yes, I will. Waaaay back last summer, when I planned to release a Supreme Soviet of Love album, I picked a date: November 12. A Sunday night. Few conflicts, start and finish times early enough to get everyone home for the evenings news – perfect! My other band, “Elephant in the Room”, after taking taking a few months off to learn new material and change lineup, on the other hand, spent most of the year looking for a gig. 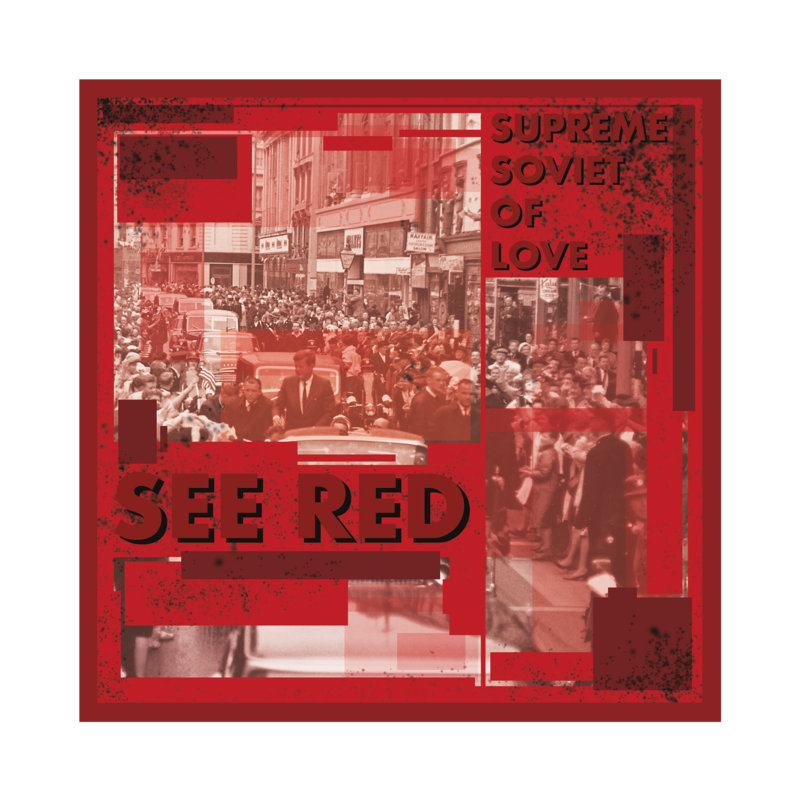 So between scheduleing a Supreme Soviet of Love gig for November 12 way back in July, and today, what happened? 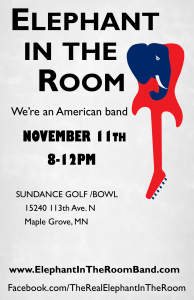 Of course Elephant in the Room landed a gig for November 11. So talk about this weekend!. 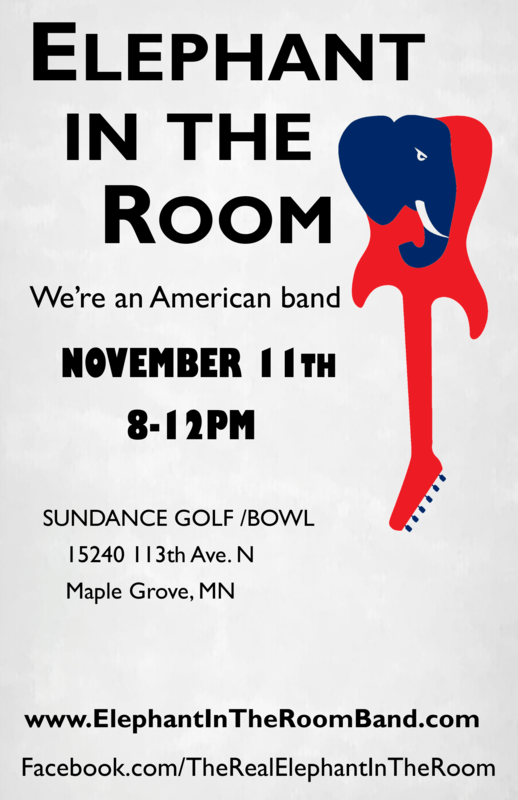 Elephant in the Room will be playing at the Sundance in Maple Grove from 8 to midnight. …well, pretty much anything that grabs you from that entire forty year period. And the Sundance – which I just visited for the first time last weekend – is a nice place; bowling, golf (probably not much of that ’til spring), good pizza, decent beer selection, “Steak Night” on Saturdays ’til 8PM (just $10! ), and, of course, live entertainment. That’d be us, of course. No cover that I”m aware of, which makes it even nicer. It should be a fun night and a fun gig. 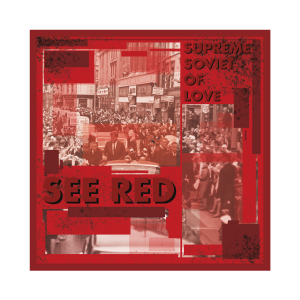 “The Supreme Soviet of Love” will be having the album release party for its first (and wjho knows, maybe only) album, See Red this coming Sunday at O’Gara’s. See Red includes a bunch of songs – a couple of them going back to the 1980s (we’ve encountered some of them here), and a whole lot more that I wrote in the past year just to prove to myself that the whole thing wasn’t a nostalgia exercise. Who knows – it may have been both. I don’t know. And I don’t care! 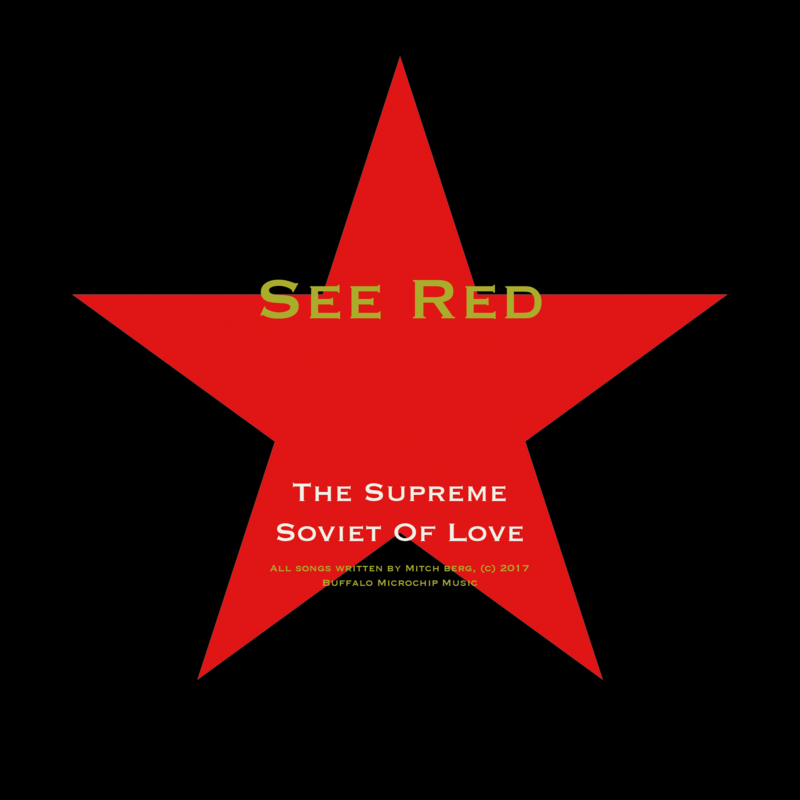 The Supreme Soviet of Love will go onstage at 8PM, and come hell or high water we’ll be out of there by 9PM; you’ll be home in plenty of time for the 10PM evening news, or the 10PM rerun of Walking Dead if that’s what you prefer. There’s a $5 cover – 100% of which goes to pay the rest of the band. Me? I’m hoping to sell CDs (and they’ll be on sale there, as well as available for download on iTunes, Amazon or wherever you like to get your music from. …Elephant in the Room. Yep. I’ll be opening for myself. That’s one way to save money! I’ll be hanging out after loadout until they kick me out of there, for anyone who wants to talk politics, music, beer, food, or whatever you got. So I hope, in an ideal world, you can make both shows; the Sundance could become a regular gig if we draw a lot of people, and of course the album release party has been on my bucket list since Ronald Reagan was president. Either one would be great, though!